Grade Potential provides personalized, one-on-one 6th grade tutoring to help students reach academic goals. Let us work with your son or daughter to master coursework and achieve success! At Grade Potential, we do more than boost GPAs—we provide personalized, consistent academic encouragement. When we tutor 6th grade students, we aim to boost confidence and motivation for these kids, so they’ll be better equipped to retain information and reach academic goals. When it comes to tutoring middle school students, there’s no better time to start than now. Helping your kids tackle tricky subjects now will lay the foundation for better understanding in their high school years. 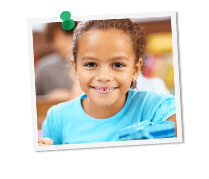 Work with a Grade Potential 6th grade tutor to learn more about helping your child master key subject areas and move towards academic goals!